COB PENINSULA LIFE! BELISSIMA! SOL MANHA! 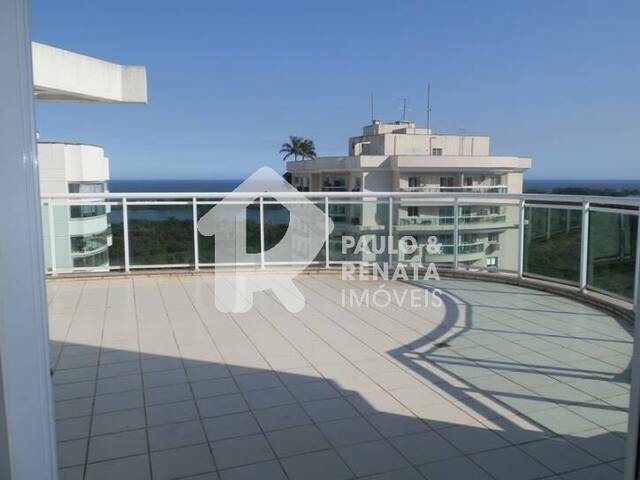 BELISSIMA COB DUPLEX SITUADA NO EDIFICIO PENINSULA LIFE,SOL MANHA,DECORADISSIMA,VISTA CINEMATOGRAFICA! 1 PAV: VARANDA,SALA EM 2 AMBIENTES COM PROJETO DE ILUMINACAO E AR SPLIT,LAVABO,3 DORMITORIOS (1 SUITE COM AR SPLIT) COM ARMARIOS DE EXCELENTE QUALIDADE,BANHEIRO SOCIAL COM ARMARIOS E BOX BLINDEX,COPA-COZINHA PLANEJADISSIMA,AREA DE SERVICO E DEPENDENCIA DE EMPREGADA COMPLETA. 2 PAV: SALA INTIMA,SUITE E AMPLO TERRACO COM VISTA CINEMATOGRAFICA. CONDOMINIO COM INFRAESTRUTURA DE LAZER,SEGURANCA 24 HORAS E ONIBUS CIRCULAR. SUNSHINE (AMERICAS PARK) COBERTURA VISTAO MAR E RESERVA! WATERWAYS (COBERTURA)! LINEAR! VISTA CINEMATOGRAFICA! AMERICAS PARK! FRONTAL MAR E RESERVA! LINEAR! 258M2! STA MONICA JARDINS (COBERTURA)! DESLUMBRANTE! LINDA! GOLDEN COAST (COBERTURA)! DUPLEX! VISTA MAR E LAGOA!